Studies of childlessness in the twentieth century in developed countries have underscored the existence of diverging trends with higher levels among cohorts born at the beginning of the twentieth century, lower ones among the baby boom cohorts and finally higher ones for cohorts born after the Second World War. Spanish women born 1920 and 1969 and explores the factors characterizing traditional/old childlessness and how these differ from those holding more recently. Using microdata from Spanish Census of 2011, our approach makes use of logistic regression and regression-based decomposition techniques. Change over time, as measured by inter-cohort variations, reveals strikingly different patterns of behaviour characterized by a reversal of the traditional association of childlessness with marital status and educational attainment that takes place in a period of intense and pervasive social change. 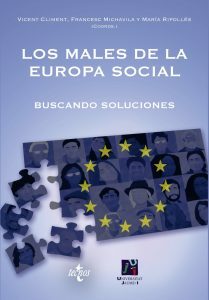 This book is, at the same time, a vindication of European values ​​and of the struggle of the Europeanists in pursuit of a better and more livable world. The European dream and the longings, or the anxieties, of what is described as Europeanism. This book adds ideas and summons. Sum intellectual commitments and sum analysis based on the hope of a better time for the common project of the Europeans. That is: Europeanism. A good way to begin the work has been to do so with the originality of being prefaced by two illustrious Europeans, outstanding personalities who have contributed their work and their thinking to the advancement of the European cause. Two visions, two moments, two summands for Europe. 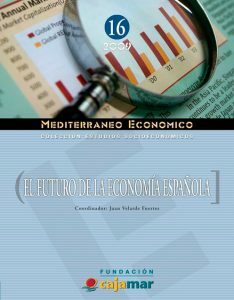 Rafael Puyol deals with demography and migrations in the old continent in this book. Education is shown as one of the discriminating factors in the face of the death of the Spanish population. The new data of the INE on mortality by age and level of education for men and women allow these differences to be measured as probabilities of death and hopes of life in the Spain of 2012. The distance is more than remarkable: a man of 30 years and high level of education can expect to live on average three years and eight months more than a contemporary of elementary educational level. That educational inequality before death it is greater among men than among women; In addition, the traditional difference in mortality due to Gender tends to decrease the higher the educational level. Although you have to be careful when establishing causality, everything points to the fact that education, with its consequent differentials in labor, economic and cultural conditions, is an element determinant of inequalities in the face of death and longevity. 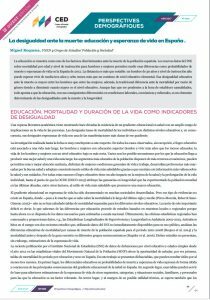 REQUENA, Miguel (2017) «La desigualdad ante la muerte: educación y esperanza de vida en España», Perspectives Demogràfiques, 6: 1-4. Our goal in this paper is to analyse the extent to which completed fertility, and in particular childlessness, is a valid predictor of living alone at advanced ages, an increasingly important residential option in advanced societies with crucial implications for social policy design and the organization of welfare services. Based on micro-data from the 2011 Spanish population census, logistic regression techniques are used to assess the impact of fertility on living alone among elderly women net the effect of age, marital status, educational attainment, and other standard population controls. Our results show a clear relationship between completed fertility and living alone. Childlessness is strongly associated with living alone, while having offspring acts as a powerful buffer against living alone, particularly in larger families. A relevant conclusion of this study is that a growing deficit of family resources available for the elderly women will take place in those societies where low fertility and high rates of childlessness have prevailed in recent decades, leading to substantial growth in the number of childless elderly women and in the incidence of living alone during later life. 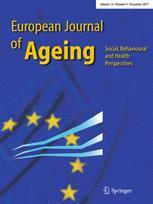 REHER, David y Miguel REQUENA (2017) «Elderly women living alone in Spain: the importance of having children», European Journal of Ageing, 14: 311–322, doi:10.1007/s10433-017-0415-6. The measurement of aging has a potentially extraordinary use in the economic and health field. This report includes the measures traditional and other innovative ways of measuring based on life expectancy and disability, and who try to better focus on the challenges of aging demographic In this second edition, new measures are included. 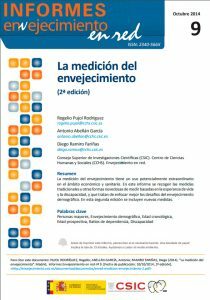 Pujol Rodríguez, Rogelio; Abellán García, Antonio; Ramiro Fariñas, Diego (2014): “La medición del envejecimiento (2ª edición)”. Informes Envejecimiento en red, 2014, nº 9, p. 1-39, ISSN: 2340-566X. In recent years, due mainly to the economic crisis, the emigration of residents who leave our country has grown. For Rafael Puyol, the situation is not worrisome because it is expected that, by improving conditions in Spain, these workers will return, with knowledge and experience that will benefit the country’s economy. 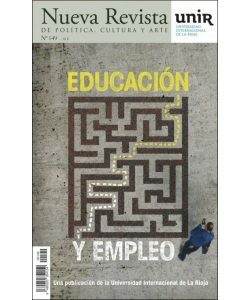 Puyol, R. ( 2014) Expatriados por el empleo. ¿ Activo o pérdida para España?. Nueva Revista. 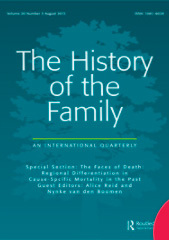 During the central decades of the twentieth century there is ample though often indirect evidence that a significant rise in fertility took place in much of the world. In some countries with historic demographic transitions this trend change has been called the baby boom. Elsewhere it has often been called the demographic explosion. Seldom has it been addressed from a global perspective. The main goal of this paper is to study these shifts comparatively, assessing the extent to which the timing and the mechanisms behind increasing fertility were or were not shared by different areas of the world. The paper provides a detailed description of fertility trends in 13 countries from four continents, based on a cohort approach to fertility and making use of data from the Integrated Public Use Microdata Series, International (IPUMS-I). Our analysis shows that, with some exceptions, increasing fertility was a global demographic phenomenon, although there are important variations in terms of intensity, timing, and duration. REHER, DS & M. REQUENA: Revisiting mid-twentieth century fertility shifts from a global perspective (Cambridge University Press). figures for the entire country. 2050. At the beginning this increase will be the result of positive numbers in terms of immigration and the birth rate of the Spanish population. After that, this increase will be due to positive immigration numbers only because the birth rate will be negative. This increase will also provide a positive balance in 14 of Spain’s 17 autonomous regions, but will be accompanied by an increasingly aging population, which will have deep repercussions on the structure of Spain’s economy and society. Puyol, Rafael (2009) El futuro de la población española. Fundación Cajamar.